I recently had the chance to discuss pre-war cards for an interview with the fine folks over at Collection Connections. One of the questions was an intriguing one asking for my pick for the top five pre-war cards of all time. Those sorts of things are always tricky because the answer can change given certain parameters. Top five most expensive cards? That’s probably a different list than the top five most important cards. I didn’t really define this too well. The first real thought I had was, what do I consider to be the five biggest conversation pieces. Valuable, important, rare cards featuring key players or teams and often a part of distinctive sets. Here’s what I came up with. There were a few that nearly cracked my list. The Joe Jackson E90-1 American Caramel and T210 Old Mill cards are surging, and Jackson’s Cracker Jack cards are among the most iconic of all time. You’ve got the Babe Ruth M101-4/M101-5 cards. The 1863 Grand Match at Hoboken Harry Wright card, if you consider it a baseball card, is a worthy contender, obviously, as is the 1868 Peck and Snyder Brooklyn Atlantics trade card. There’s the rare 1893 Cy Young Just So Tobacco card as well as the Honus Wagner Reccius Cigars card. There’s the Buck Ewing card from the rare 1886 N167 Old Judge set. None of the mentions the plentiful but iconic Babe Ruth 1933 Goudey cards. And what about the Plank, Magie, and Doyle T206 rarities? Really, you’ve got plenty of options – particularly if you open this thing up to the top ten. But with all that said, here’s my top five (with a tie). Ask me again tomorrow and the list probably changes. There are more expensive cards, surely. But the Lajoie Goudey card makes my list largely because of its rarity and backstory. In 1933, Goudey produced one of the best pre-war sets of all-time. For me, it probably ranks somewhere in the top three issues. Early tobacco and candy cards had given way to gum cards in the 1930s and Goudey was the biggest name of them all. They produced a 240-card set in 1933 and kids were buying them up like crazy. And with 240 cards to collect, that meant the company was selling a ton of product with collectors eager to complete sets. Only problem was that no one could find card No. 106. And by no one, I mean no one. Other companies had created intentionally shortprinted cards for promotional giveaways to intentionally limit the number of prizes they had to distribute. These giveaways were usually offered to consumers collecting a complete set. Canadian company Maple Crispette was one of those that had shortprinted certain cards so they didn’t owe consumers too many prizes in set redemption contests. But Goudey didn’t shortprint card No. 106 – they didn’t issue it altogether. Was that part of an elaborate plan to get collectors to buy more gum or was it simply a mistake? Goudey likely would say the latter while collectors have often argued otherwise. But in either event, kids weren’t able to complete sets and that resulted in many of them contacting the company. Goudey relented and is believed to have offered the card via mail to anyone that would ask. That card was Nap Lajoie. As a result, the card is heavily shortprinted. To date, PSA has only graded about 100 of them speaking to its rarity. Cap Anson was one of the game’s first true superstars. Anson was featured in the N172 Old Judge set and is found on two cards in the release. Both are extremely rare but one is downright scarce. The Anson card seen the most is a portrait of him wearing a suit. That card is highly desirable and only a few dozen are believed to exist. But Anson’s card picturing him in uniform is a true rarity. To date, PSA has graded only a handful and it is possible that fewer than ten exist. The card is not only significant because of its extreme rarity but because of the fact that it is the most desirable card of the first stars of the sport. Playing primarily in Chicago with the White Stockings and Colts in the National League, the Hall of Famer led the league in all kinds of categories during his career, including hits, doubles, runs batted in, OPS, walks, and batting average. Baseball was just starting to emerge as an American sport at that time and Anson was front and center. Finally, the card is also part of the legendary N172 Old Judge issue and that helps its cause. That set is a massive issue produced over a number of years. While many collectors might be unfamiliar with most of the names in the set, it was an impressive release. The description for this card is a little vague because, well, what we know about it is pretty vague. What we do know is that Cobb’s name and image were used to create a special tobacco card. 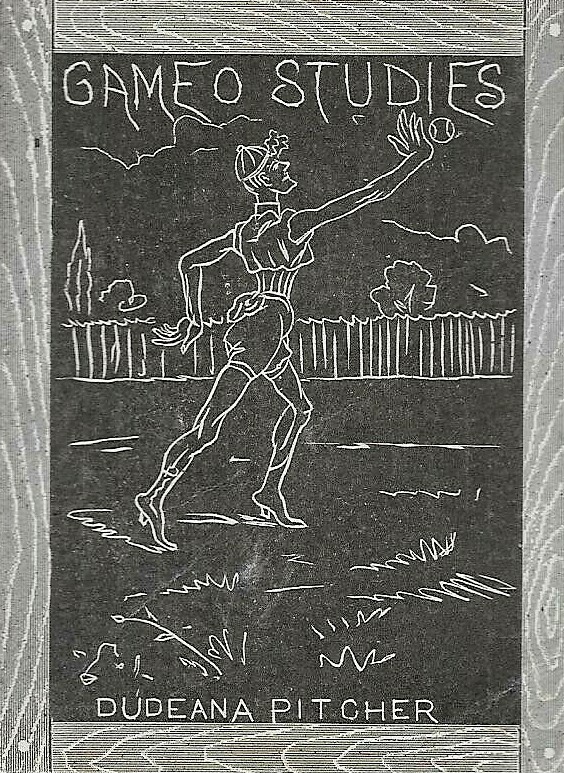 The picture is well-known as it was an image used in the famous T206 set. The card even is designed on the front the way that T206 cards were, leading many to categorize this as a T206 card. But while the front looks like a regular T206, the back is quite different. There, collectors will note a green advertisement that reads, “Ty Cobb – King of the Smoking Tobacco World.” The cards are exceedingly rare, and, even with the recent discovery of eight found (the Lucky Seven find of 2016 followed by an eighth found by the same family in 2018), there are only about 25 known as of this writing. While the definitive mode of distribution may be up in the air, the cards are widely believed to have been distributed with a Ty Cobb brand tobacco, which were sold in tins as seen here. The cards are, as you would expect, quite valuable, selling for hundreds of thousands of dollars, depending on the condition. 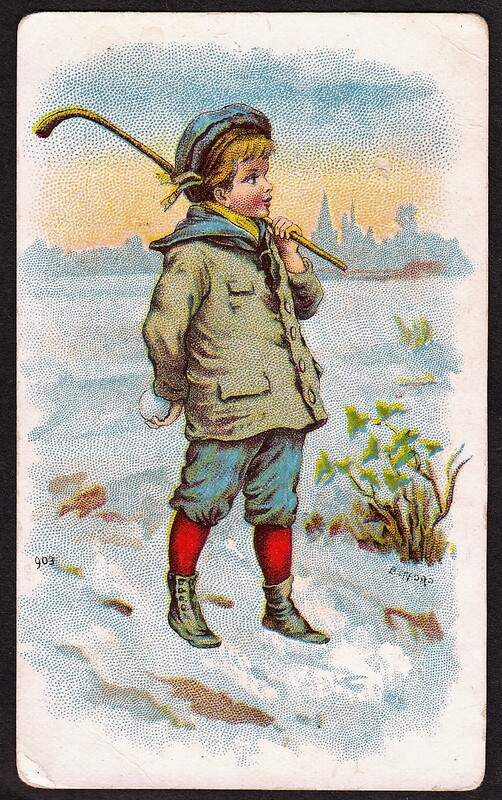 Peck and Snyder, a sporting goods company, produced several trade cards. These cards were printed as advertisements for their business. Backs of the cards featured a specific ad but the fronts included pictures. Peck and Snyder produced several cards featuring specific baseball players and teams. While Peck and Snyder did produce an earlier card in 1868, the 1869 card featuring the Cincinnati Red Stockings is often heralded as the first true baseball card. That is because the 1868 card featured the Brooklyn Atlantics, which, while a real team, were comprised of amateur players at the time. The Red Stockings, meanwhile, were actual professional players. While the debate of first baseball card will rage on, this card is often the holder of that crown because of the players being professionals. Only a few examples of this card are known to exist today. More cards are valuable but its distinction as being arguably the first true baseball card cannot be overlooked. I went back and forth with this for quite a while, I really did. Babe Ruth’s true rookie card, by definition of the term (earliest professional card widely distributed) is his 1916 M101-4 and M101-5 cards. However, Ruth’s first card in general is seen as his 1914 Baltimore News minor league card. Here, Ruth is pictured as a minor league pitcher and a member of the Baltimore Orioles in the International League. The card was part of a regional set issued in Baltimore and featuring the Orioles as well as the Federal League’s Baltimore Terrapins. I ultimately chose this card over the M101-4s and M101-5s for a few reasons. First, it was issued a full two years before those cards. Had the issues been produced in the same year, it would have been easier to go with his professional cards. In addition, the Baltimore News Ruth cards are much more scarce and more valuable. The first card of the sport’s most notable player simply has to be high on this list. I rate this slightly higher than the Peck & Snyder card for that reason. Was there really any doubt here? The Wagner card is a clear cut No. 1 for this list. Other cards are more scarce but none are more valuable. Wagner’s card is also found in the iconic T206 set and is known to even non-collectors. Most are aware of the Wagner backstory. His card was to be issued in the T206 set. The producer secured the artwork for Wagner’s image, assumed he would be included, and even went to production on his card. But early in the printing process, his card was yanked, likely because he had not come to an agreement for his image to be used. It has often been speculated that the reason his card was pulled was because he was against his image being used on tobacco products. But as Wagner was included in other tobacco issues, that appears to be a myth. Wagner’s exclusion surely was a blow to the set. T206 was virtually a Who’s Who of baseball and not only included just about every important baseball player there was, but often multiple cards of the same player. At the time production began in 1909, Wagner was one of the game’s biggest stars. That season, his Pittsburgh Pirates defeated Ty Cobb and the Detroit Tigers in the World Series and Wagner’s status was elevated even higher. While Wagner’s issues were pulled from production early on, a good number surely slipped out. To date, fewer than 100 Wagner cards are known, however, so it is quite rare. One sold for more than $3 million in 2016 and while that record could soon be threatened by a high-grade 1952 Topps Mickey Mantle card, pound for pound it is the most expensive card of all time.